Vote for Moving For Love, Please! 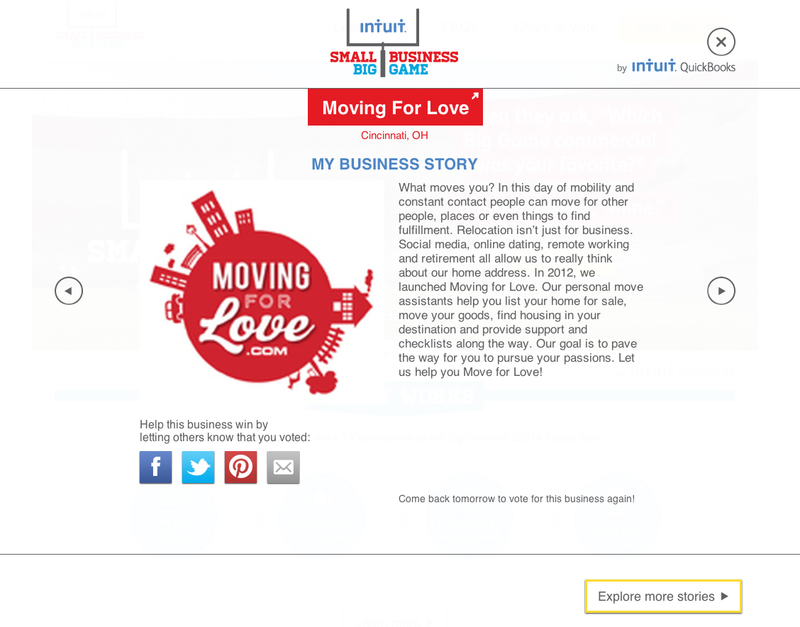 Moving For Love (a Sibcy Cline affiliated company) is in a small business contest and needs your vote. If Moving For Love wins this contest, they will enjoy having a commercial aired in the third quarter of the 2014 Super Bowl Game. Let’s help support them by voting! Helping individuals who are following their heart by relocating to a new destination, Moving For Love has been in operation for 14 months. Be sure to pick up a Wall Street Journal on Friday, May 24, 2013. Sibcy Cline has a full-page ad in the mansions section of the Ohio regional version of this newspaper. 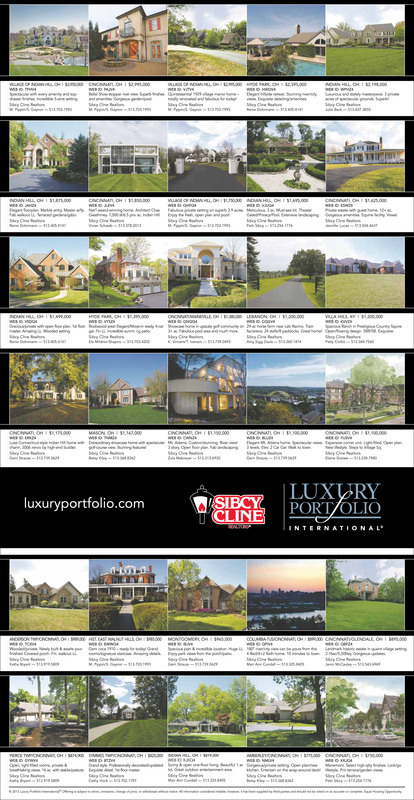 This advertisement promotes 30 of Sibcy Cline’s higher-end, Luxury Portfolio International properties. Luxury Portfolio International is the luxury face of Leading Real Estate Companies of the World, the largest global network of independent real estate companies. Sibcy Cline is a long-time member of this organization and a selected partner with Luxury Portfolio. Sibcy Cline’s high-end, luxury listings are promoted on the Luxury Portfolio website which is marketed to high-end consumers worldwide. Sibcy Cline’s listings average 50,000 property impressions monthly on this website. View all of Sibcy Cline’s Luxury Portfolio listings here. Luxury Portfolio International markets over 25,000 homes annually with an average price over $2.5 million. Properties viewed on the website can be converted into multiple foreign languages and currencies. The site has visits from over 200 countries monthly. 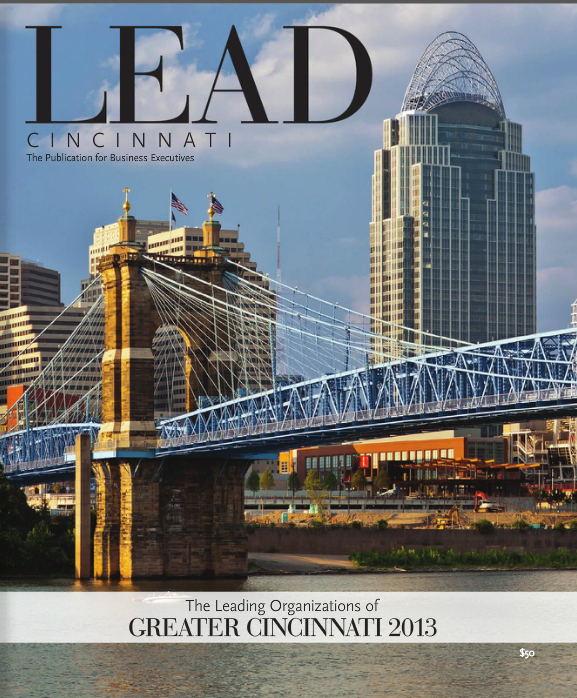 Lead Cincinnati is presented by the publishers of Venue magazine and was mailed to top greater Cincinnati CEOs/COOs. The magazine is definitely a tome with 318 pages. A top-notch publication, it features interesting feature articles about area businesses. What do potential home-buyers look at following a home’s exterior? 76% of viewers looked at the listing’s details such as room sizes and number of bedrooms and baths, per this report. 45% of viewers did not look at the remarks at all. Agent remarks about the home (its description) were ignored when written in ALL CAPS or had too many adjectives. 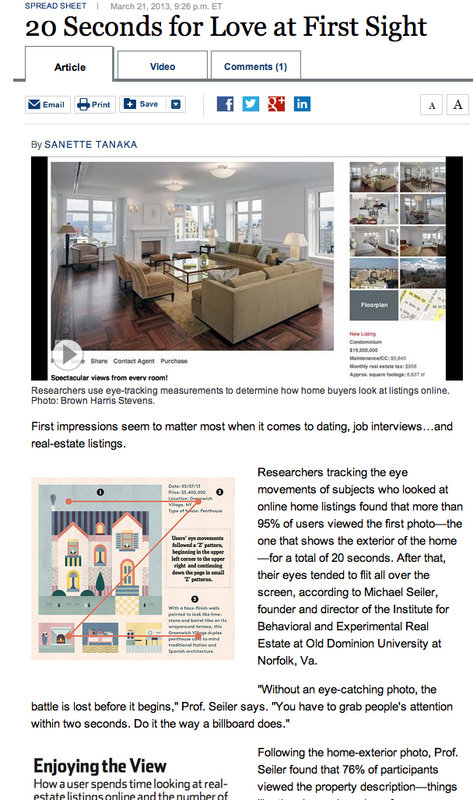 How do online viewers spend their time looking at homes? Viewers look at a listing detail page in a “Z” pattern: top left to top right and then down in small “z” patterns. After reaching the bottom of the page, the viewer then scans up the right side. Sibcy Cline’s listing detail page features its listings’ photos prominently on the top left side of the page. Details and remarks are easy to scan. An average viewer on www.sibcycline.com spends 10 minutes looking at homes. For many of Sibcy Cline’s listings, photographs can be “super sized” so rooms can be studied in detail on a monitor. Read the report: “Toward an Understanding of Real Estate Homebuyer Internet Search Behavior: An Application of Ocular Tracking Technology” by Old Dominion University here. According to a recent research report produced by REAL Trends, the 500 largest residential real estate brokerage firms in the national controlled over 2 million residential sales transactions in 2012. The transactions represent close to 29.8 percent of all new and resale transactions completed by brokers during the year, yet the REAL Trends 500 represented less than three-fifths of one percent of all brokerage firms. The 500 mega-brokers closed 2,290,269 home transactions with a value of over $264 billion during 2012. Included in the REAL Trends 500 is Sibcy Cline Realtors which services Cincinnati and Dayton, Ohio; Northern Kentucky; and Southeastern Indiana. 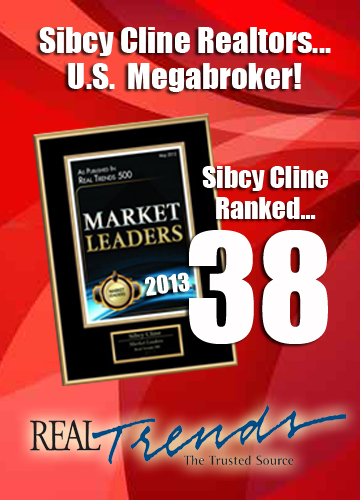 Sibcy Cline ranked number 38 with 9,213 residential transaction sides closed last year. Sibcy Cline ranked number 11 when compared with other real estate companies that offered affiliate services such as mortgage, title, home warranties, and insurance. The company had a total of 8,231 core-service transactions in 2012. The 2013 Real Trends 500 is a compilation of a nationwide study of leading real estate companies conducted by REAL Trends, research, publishing and communciation company located in Denver, Colorado, serving the information needs of the residential real estate company. Numbers are documented by outside accounting firms. 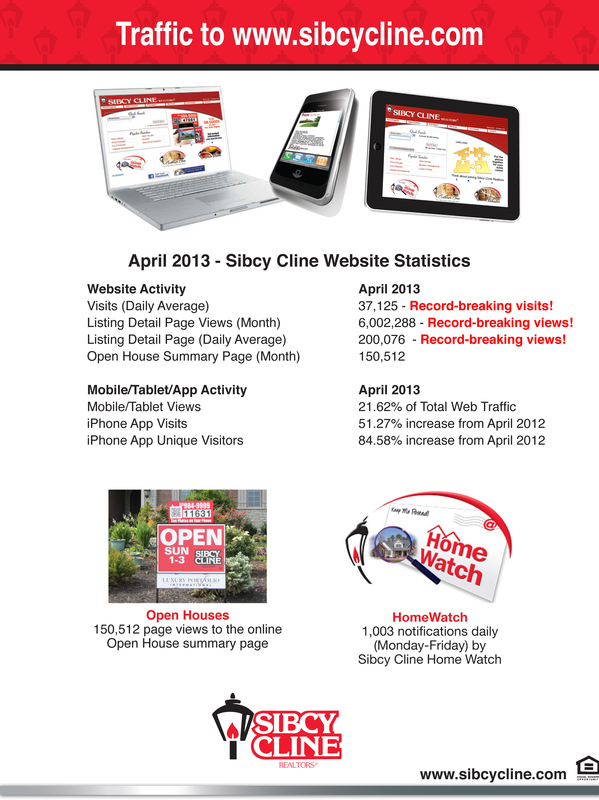 Sibcy Cline’s Website is Breaking Records with Views to Listings! The real estate market in exploding. People are quickly buying homes and taking advantage of record-low mortgage rates and great values in home prices. Where does the home search begin? At www.sibcycline.com, of course! 37,125 – Average daily visits – Record Breaking! 200,076 – Average daily view to Listing Detail Pages – Record Breaking! 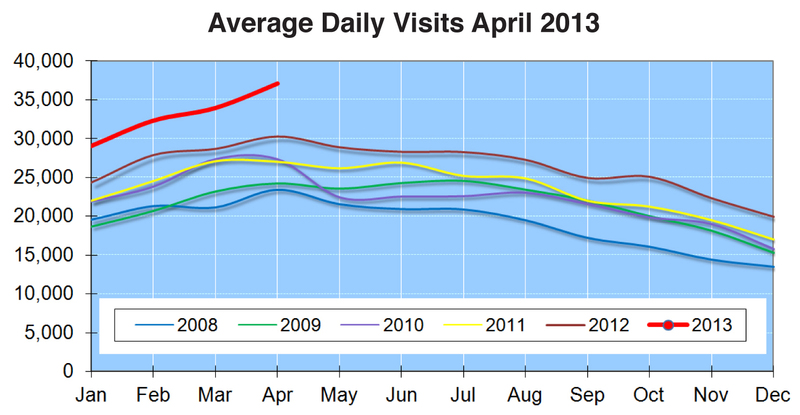 6,002,288 – Views to Listing Detail Pages for the month of April – Record Breaking!